Rob Bagg is back with the Saskatchewan Roughriders. Bagg was released by the team at the end of training camp after nine seasons with the team. The 33-year-old fan favourite finished last season with 35 receptions for 339 yards and a touchdown. 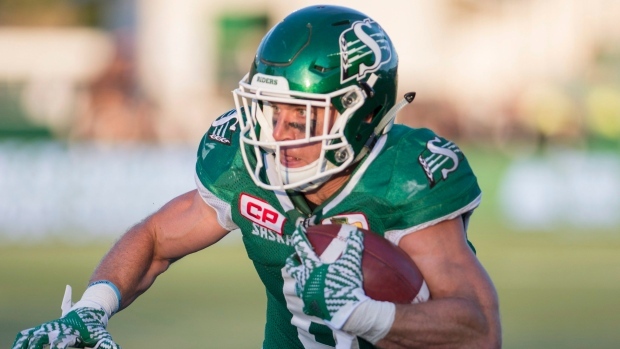 In 139 games with the Roughriders, Bagg has 364 receptions for 4,705 yards and 24 touchdowns. In other Roughriders roster moves, the team released running back Trent Richardson alongside three others. Richardson was solid for the Roughriders in four games last year, finishing with 48 receptions for 259 yards and two touchdowns, but didn't report to the team this year. QB Devin Gardner, DB Shawun Lurry, and DL Tresor Mafuta were also released. DB Will Blackmon was added to the team's practice roster.